By Peter Anderson Leave a Comment - The content of this website often contains affiliate links and I may be compensated if you buy through those links (at no cost to you!). Learn more about how we make money. Last edited November 5, 2018 . 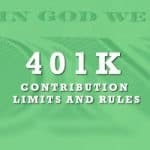 A few days ago I wrote a quick post giving full details about what changes we could expect to see in the 2019 401k contribution limits. So how much was changing? The short answer is that we saw an increase in the contribution limit from last year – to bump it up to $19,000. That's great news for savers! If you have an IRA in addition to or instead of a company 401k, you'll want to make sure to stay on top of any increases in contribution limits there as well. Contribution limits are lower in the IRA than the 401k to begin with, so if an increase happens, be sure to take advantage. So what is happening with the IRA contribution limits this year? The IRS has announced that the amount that you can contribute to a traditional or Roth IRA for 2019 has gone up from 2018! Don't have a Roth IRA yet? 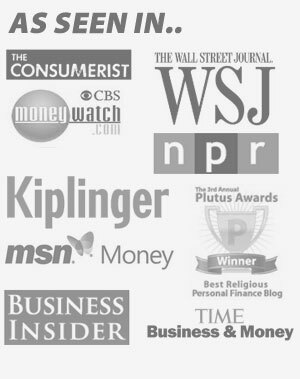 Check out these posts talking about the best places to open a Roth IRA, or our list of best robo advisors. Contributions Can Be Made Until Tax Day 2020 For 2019! 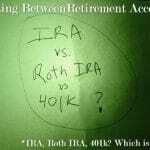 The contribution limit for both Roth and Traditional IRAs got bumped up by $500 this year! If you are under 50 years old that means you can now contribute $6,000 to your IRA accounts, an increase of $500 over last year! 50+ years old? You're also able to make a catch up contribution of $1,000 – which pushes the contribution limit to $7,000. 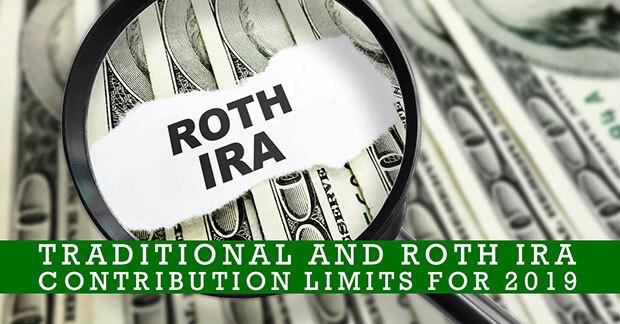 The limit for the Roth and traditional IRA is a shared limit, so keep in mind if you contribute to one, the limit for the other is reduced. The $6,000 is a single combined limit if you want to max out your contributions. For example, if you contribute $4,000 to your Roth IRA, you could only contribute $2,000 to your traditional IRA (bump that up by $1,000 if you're over 50). 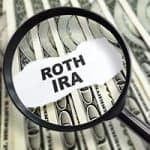 Here’s a table showing the 2019 Traditional and Roth IRA contribution limits, along with the limits in years past. Roth IRAs have an income phaseout. What that means is once you reach a certain level of income the amount of you can contribute goes down, and gets completely phased out at the upper level of the range. If your income is less than the number in the first column, you can contribute the full $6,000 for those younger than 50. If you're 50 or older you can contribute $7,000. If your income is higher than the amount in the second column, you aren't able to contribute to a Roth IRA in 2019, barring something like a back door Roth IRA conversion. In your income falls neatly into the range above, you can still contribute a prorated amount. For single taxpayers, for every $1,500 you make above the number in the first column, you'll lose 10% of your $6,000 max contribution. As an example, say that you're 48, married, and have joint income of $200,000. Looking at the chart above, your income exceeds the $193,000 lower threshold by $7,000. At a rate of 10% per $1,000, that means that you'll lose 70% of your contribution. For someone younger than 50 with a maximum of $6,000, the reduction will be $4,200, leaving you with a final allowable contribution of $1,800. In fact, you can still open a Roth IRA or a traditional IRA and contribute the fully allowed amount up until tax day. Tax day for 2019 will fall on Wednesday April 15th, 2020. So not only can you contribute at the end of this year, you can contribute right up until your taxes are due! If you do make a contribution in 2019 before tax day, make sure you specify which tax year the contribution is being made for. When you're contributing to a Roth or Traditional IRA you'll want to keep an eye on the limits and phaseouts. If your income is reaching phaseout thresholds, you may want to consider reducing your taxable income by contributing to an account like a 401k, or reducing your taxable income by making charitable contributions, etc so that you can continue to be eligible for the account type.